The most revisited recipes in my collection tend to be the simple ones. They’re easy to make and feature just one or two flavors. It’s the “less is more” idea applied to baking. 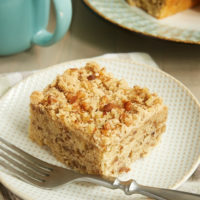 This Brown Sugar Pecan Coffee Cake officially qualifies for inclusion in that group. 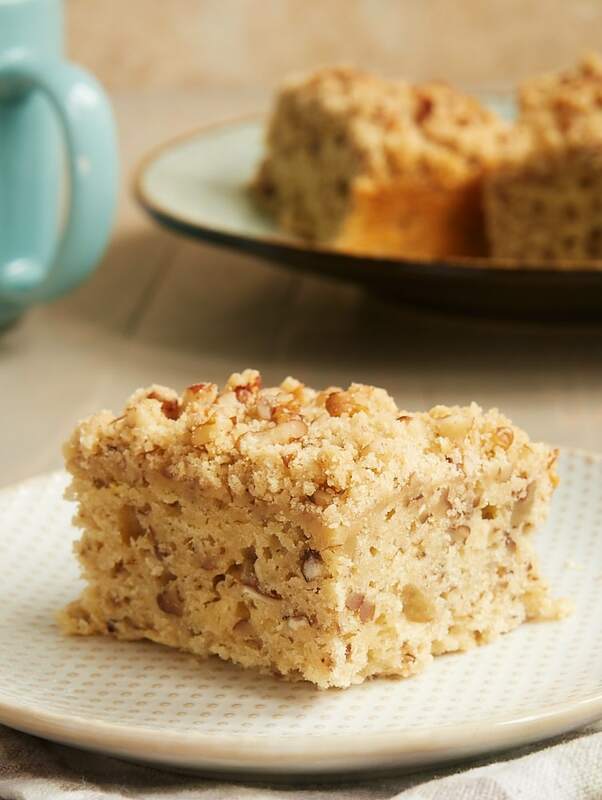 It’s quick to mix, and it’s all about two of my favorite flavors – pecans and brown sugar. It’s certainly not a fancy combination, but it just works so well. The flavor profile is wonderfully simple. 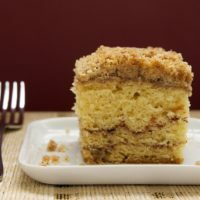 I often like to add a bit of cinnamon to crumb toppings, but I resisted with this one, choosing not to distract from the two main flavors. If you’d like a little hint of cinnamon, then simply add about 1/4 teaspoon to the topping mixture. Another bonus for this recipe is that I pretty much always have everything on hand to make it. 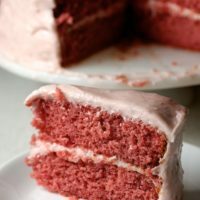 If you bake with regularity, then you’ll likely also find that to be true. 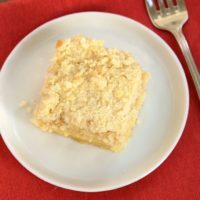 That makes it perfect for those times when you need to whip up a sweet treat on short notice or just when you have a craving. 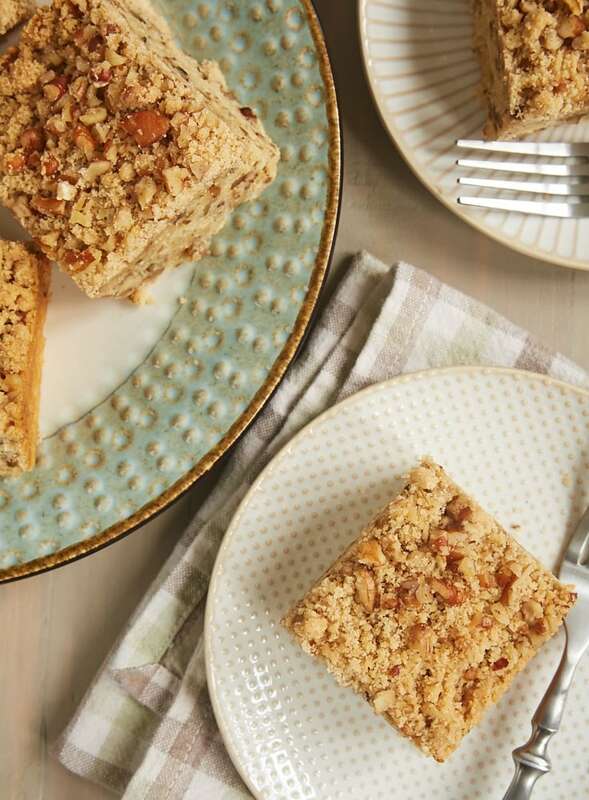 This cake is perfect for a sweet breakfast treat, a coffee break companion, or an uncomplicated dessert. I like to make it and just have it to snack on for a few days. It’s also a great choice for serving friends for coffee time. 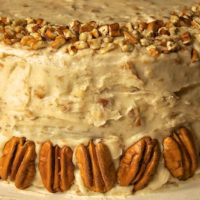 And don’t underestimate the power of wrapping up a pan of this cake for a sweet homemade gift! 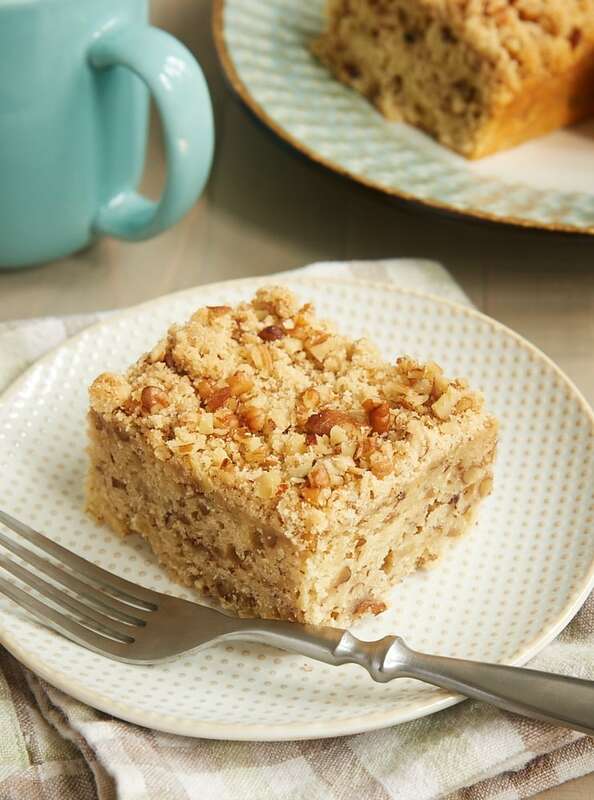 Sweet and simple flavors are the stars in this Brown Sugar Pecan Coffee Cake. Combine the flour, brown sugar, pecans, and salt in a small bowl. Add the butter, and mix with with a fork or your fingers until the mixture is thoroughly combined and forms crumbs. Reduce mixer speed to low. Add the flour in three portions, alternating with two portions of milk. Mix just until combined. Stir in the pecans. Bake 30 to 35 minutes, or until the top is golden brown and a pick inserted into the center comes out clean. *Be sure you’re measuring your flour accurately. If you need a refresher on how best to do that, see my tips on How to Measure Flour. Mine turned out dry…does it need oil…mayo…? Tastes good! Hi, Pat. If you didn’t change anything about the recipe, I’d guess that you used too much flour. This is how I recommend measuring flour so that you don’t use too much. Thanks for pointing out my omission, Dana. I’ve updated the recipe. If you don’t have a scale people get one. 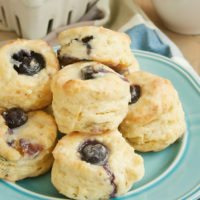 You’ll be surprised how much over a ordinary cup of flour weights. Just put minein the oven. I’ll get back to you with the results. Quick and easy with great flavor. Shared with my co-workers, and it didn’t last long! Mine was very dry as well, mu friend told me that for two cups of flour you need 1 cup of liquid. Next time I’m going to add 1 cup of milk and see how it is, because I really liked it. 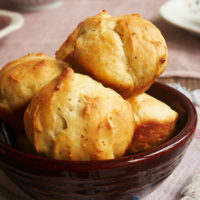 Hi Jennifer, just love your posts and recipes, they allways work very well and all of them are so delicious! just to say you have a fan here in Brazil! Perfect combination of flavours ! Thank you ! Very dry and not much flavor. If I made it again, I would definitely add more liquid and some cinnamon. I followed this recipe to the letter, double checking. It’s been in the oven for 1 hour and still thick batter in the center. I can’t figure what is wrong. It smells wonderful though.